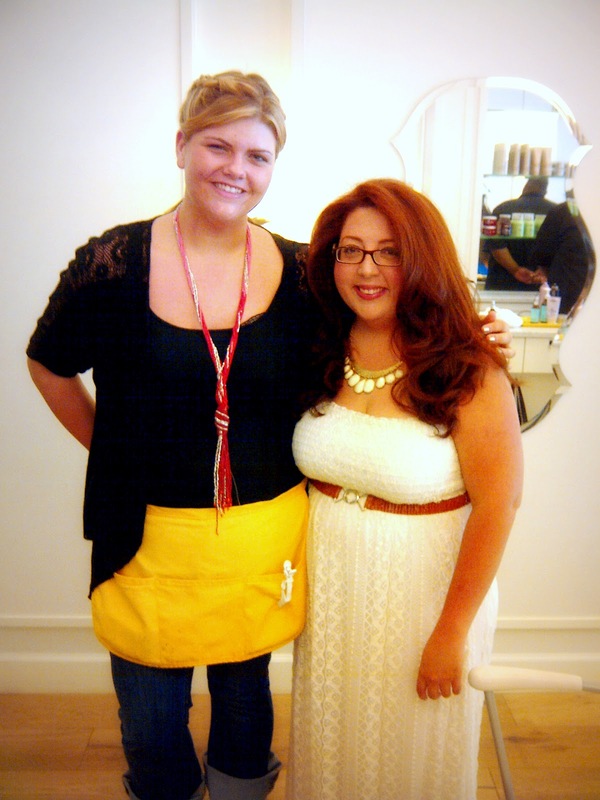 This past Monday, I was invited by Tammie Reed of Talking with Tami for a blowout party at drybar salon. 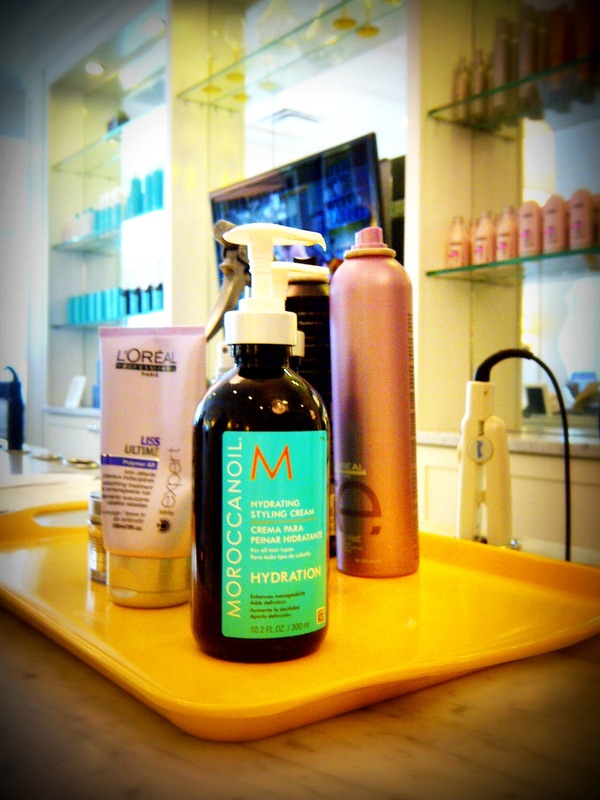 Blow-dry bars are the latest rage in hair salons. 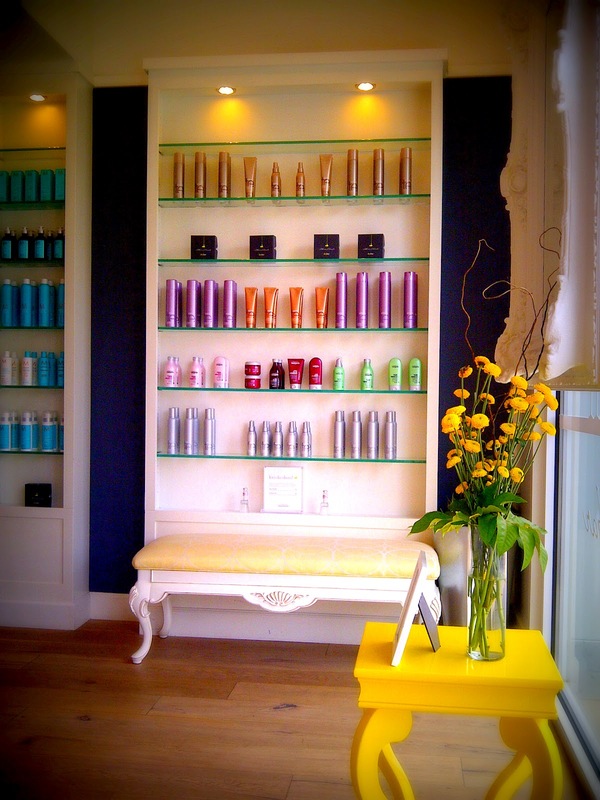 The concept of drybar is simple. 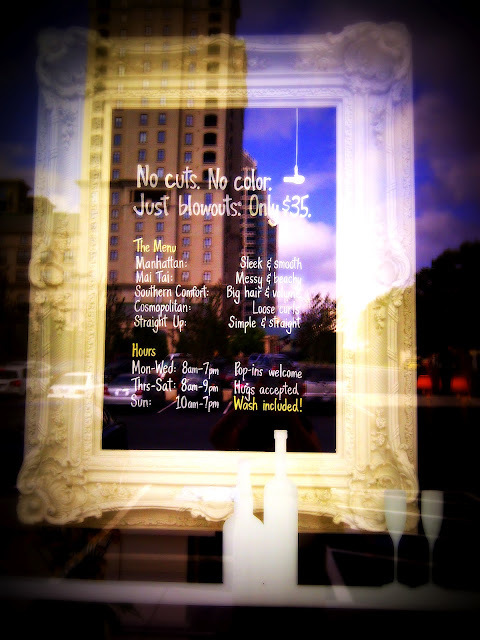 The salon itself doesn’t do cut or color, just blowouts. 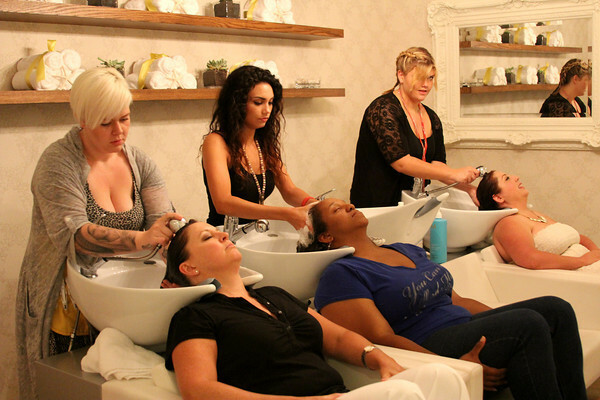 The idea was a natural one for founder Alli Webb, a professional stylist with curly hair, who was tired of overpaying for blowouts at traditional salons. Her solution? 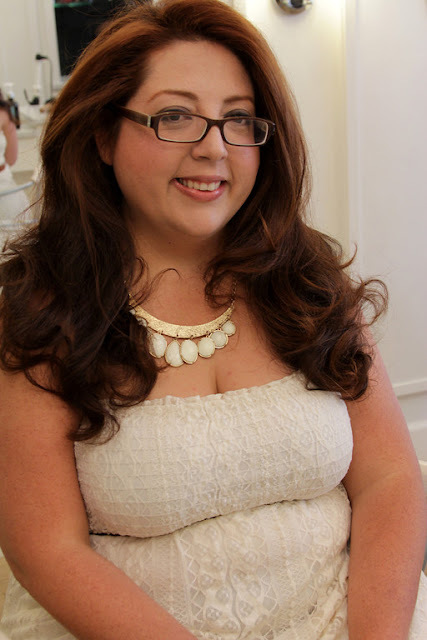 A blow-dry-only salon that offers $35 blowouts. 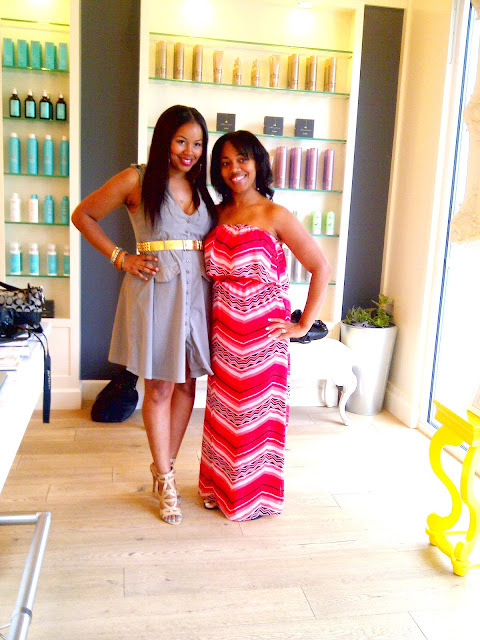 According to my stylist hair ninja, Hilairy Munley, the Atlanta location can average around 150 blowouts a day and there are plans to open new locations soon. Midtown, Emory and Alpharetta are strong contenders. Let's hope they don't forget Gwinnett county. 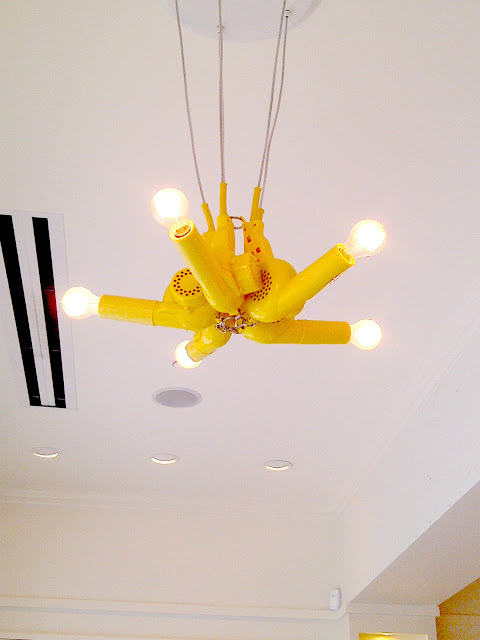 We love hair and we NEED a drybar near us. 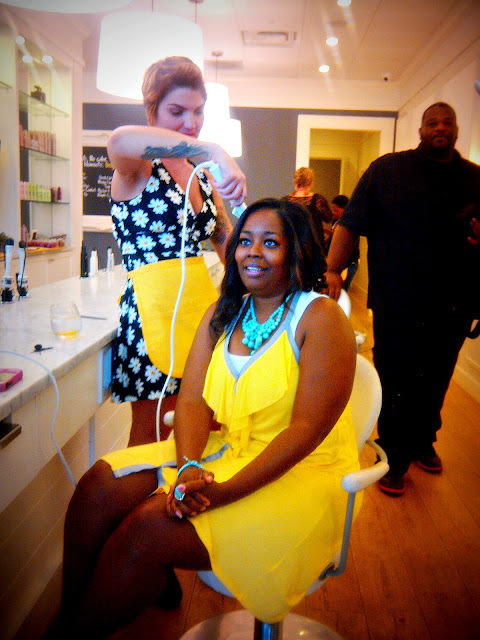 My experience at Drybar was first class all the way. 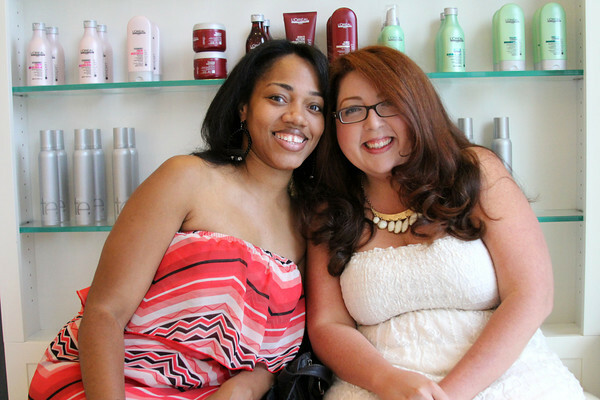 I think what differentiates this salon from the rest is the incredible customer service. 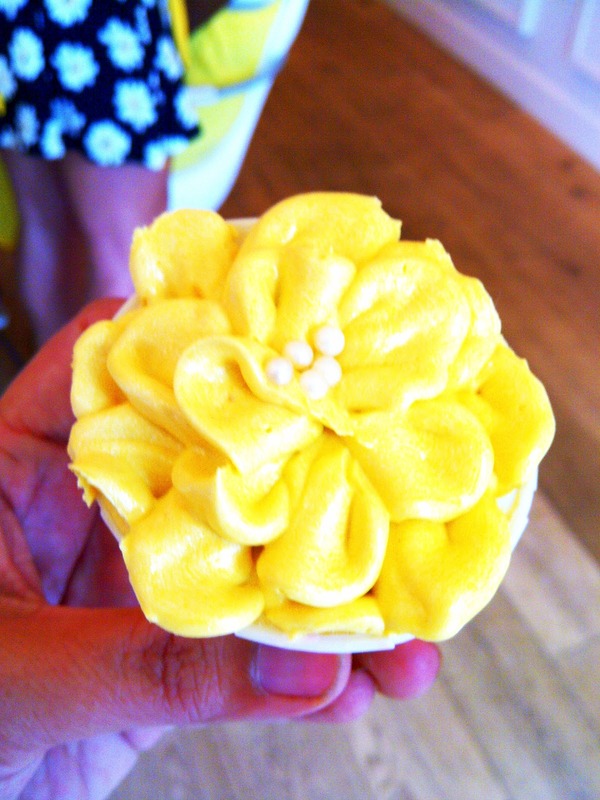 Not only they take their time making sure your hair looks phenomenal but the attention to details is really admirable. 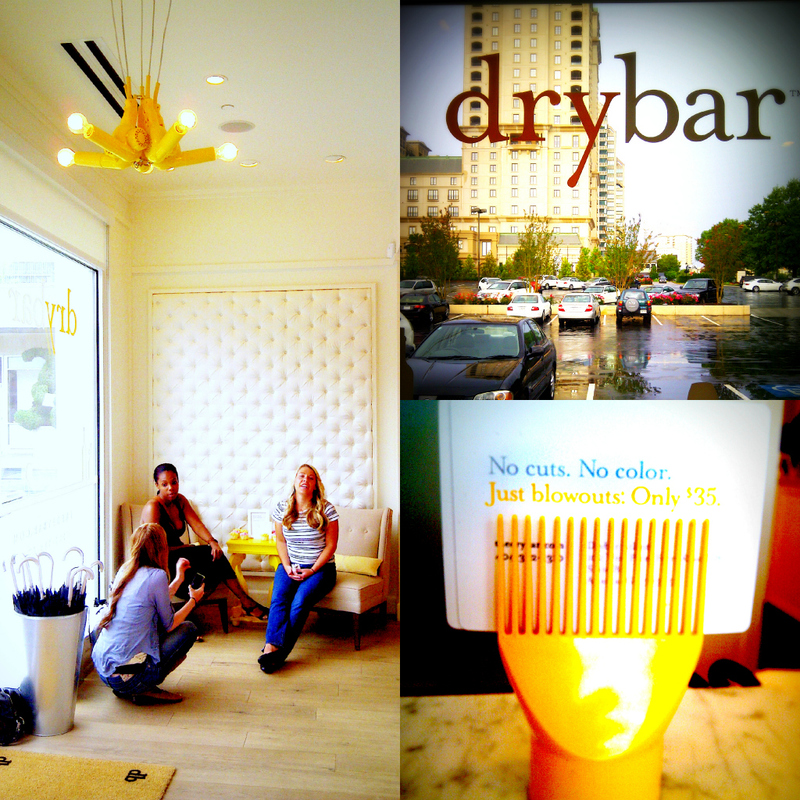 Conceived as a bar for hair, the menu at Drybar keeps things simple. Six styles, each named for drinks, help the customer determine the exact style they want rather than relying on celebrity images or vague descriptions. 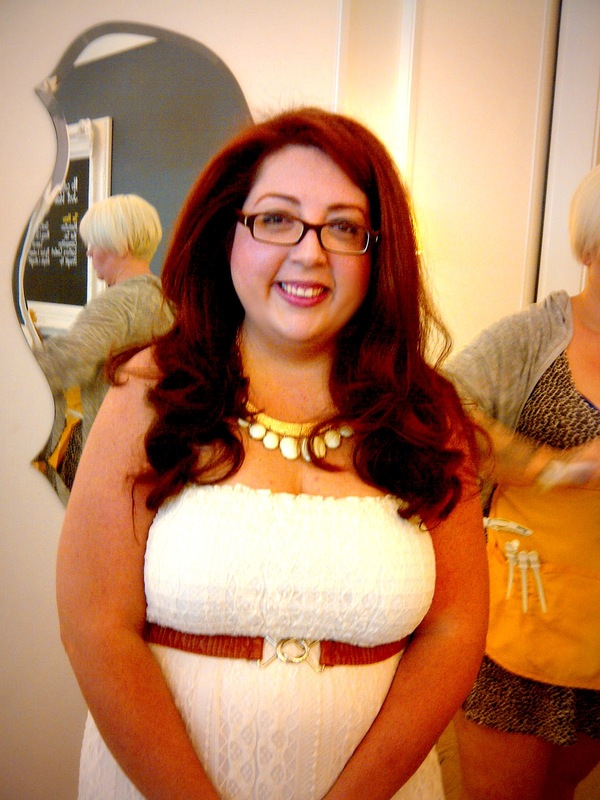 The six basic styles include the Cosmopolitan with loose curls; the Southern Comfort with lots of volume and the Shirley Temple for girls ten and under. 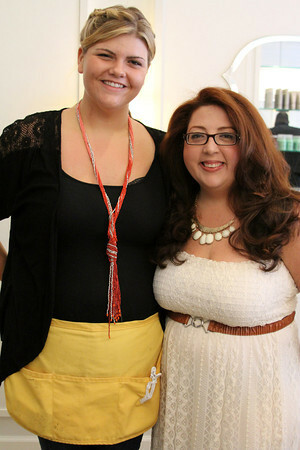 I opted for the Cosmo-Tai, a cross between the Cosmopolitan and Mai Tai, for a look that is half-curls, half–beach waves. My dear God, I have never, ever, seen my hair like this. I received so many compliments that day. Everyone absolutely loved it. It was magic. Do you remember that scene from The Princess Dairies when Anne Hathaway was getting a makeover and they turn the chair and she sees herself in the mirror? I swear that was my reaction, with the only difference that I spontaneously busted out the words, Oh hell yeah!! haha. My second reaction? Oh I am sooo coming back!!!! Thank you!!! 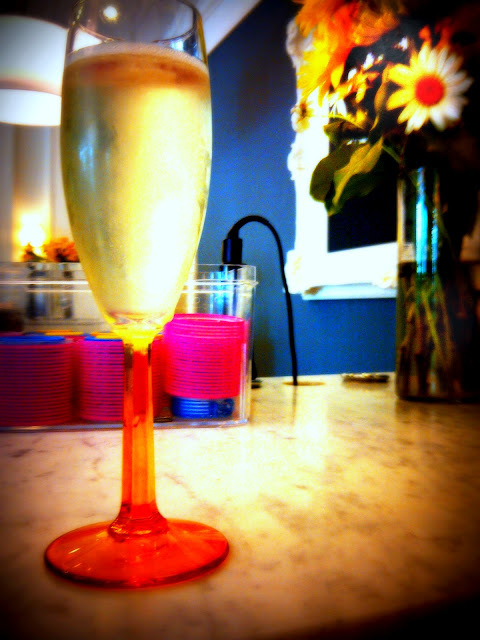 So ladies, The Bluebird Patch proudly gives the seal of approval to the Drybar. There's nothing better than having a good hair day. Not only it helps boost our self-esteem but makes us feel like we can take over the world. 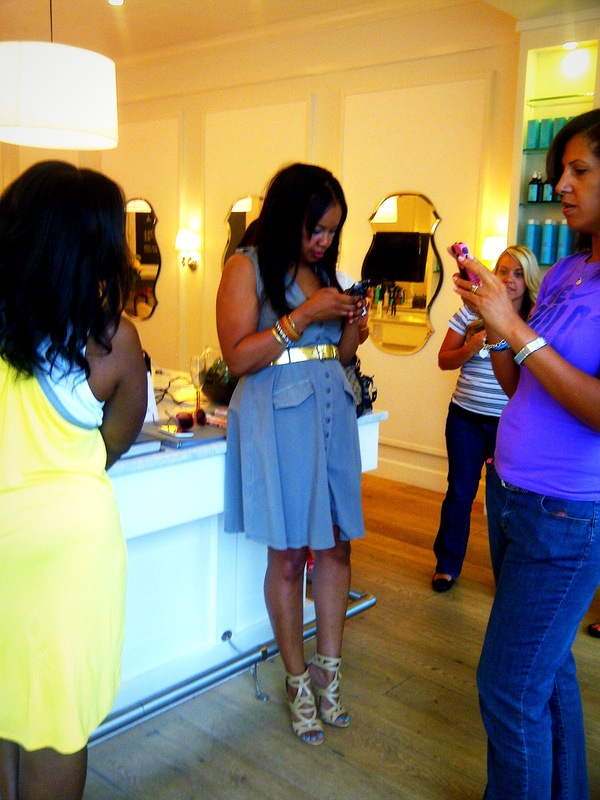 A big Thank you to Tammie Reed, the hardest working blogger in Atlanta, for inviting us to this fabulous event. I am grateful to be able to cross paths and share this wonderful memory with you. 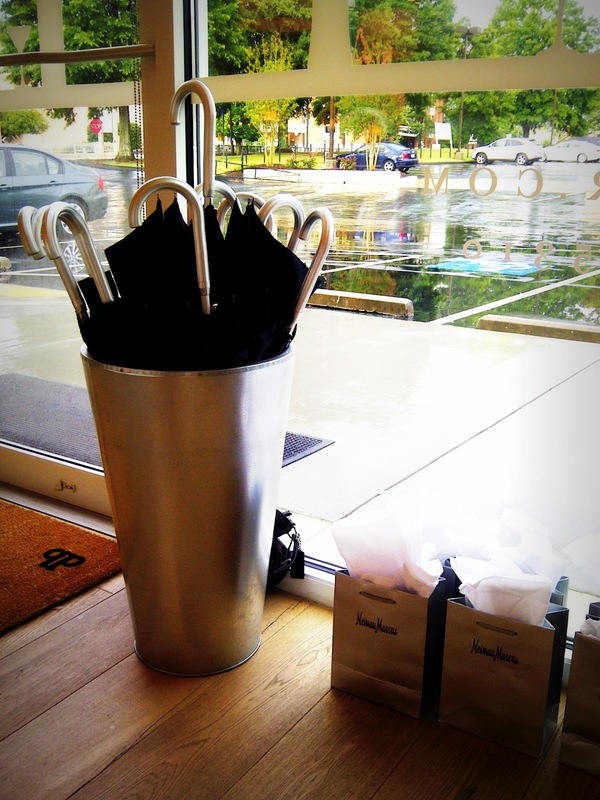 Appointments can be booked online at www.thedrybar.com or by calling 404.382.5310. For more information, please visit www.thedrybar.com. Thanks for coming fab pics! Nice meeting you! Your hair looked amazing! It was so good meeting you!!!!! Great Recap & we had an awesome time!!! !